The Perfect Gift for the Woman Collector, Gamer, Gardener….Well, anyone! : Ganz Holiday Gift Suggestion! You are here: Home / Archived Content / The Perfect Gift for the Woman Collector, Gamer, Gardener….Well, anyone! Ganz, creator of Webkinz® pets and Webkinz World™, the first web-enabled toy and kids’ virtual world, introduced Tail Towns Friends ™ this year, a groundbreaking hybrid Facebook game and gift collection for women. 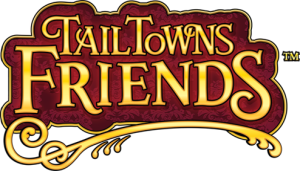 The Tail Towns Friends virtual world invites women to indulge in a whirlwind of drama, intrigue, treachery and forbidden love – enacted by a cast of mice and other furry critters, and as players become more involved in the game,the characters’ juicy stories start to unfold. Tail Towns Friends delivers a total gaming experience with custom-designed collectible, fully hand-painted, beautifully crafted figurines, bridging the real world with the virtual. These figurines not only add to your gaming experience unlocking new story lines and items, but are perfect for the woman in your life who has well…everything. 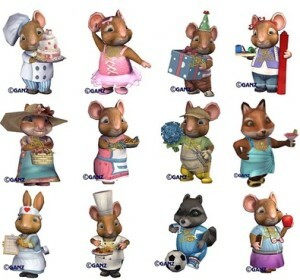 The collection of 12 hand painted figurines gives you a wide selection of professions, hobbies and personalities to choose from so there is a mouse for everyone in your house! 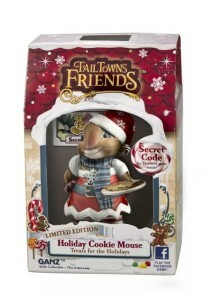 There is even a Limited Edition Holiday Cookie Mouse! I received the Gardener and the Birthday Mouse! They are just simply adorable! The online game is fun to play too! These one-of-a-kind collectibles are the perfect gift/stocking stuffer! And the best part…they won’t break your budget at a suggested retails value of $14 each! Figurines can be purchased online or at local specialty retailers.